We are passionate about providing the highest quality of dental care to all of our patients, in a relaxed and pleasant atmosphere. We are most proud of our staff. 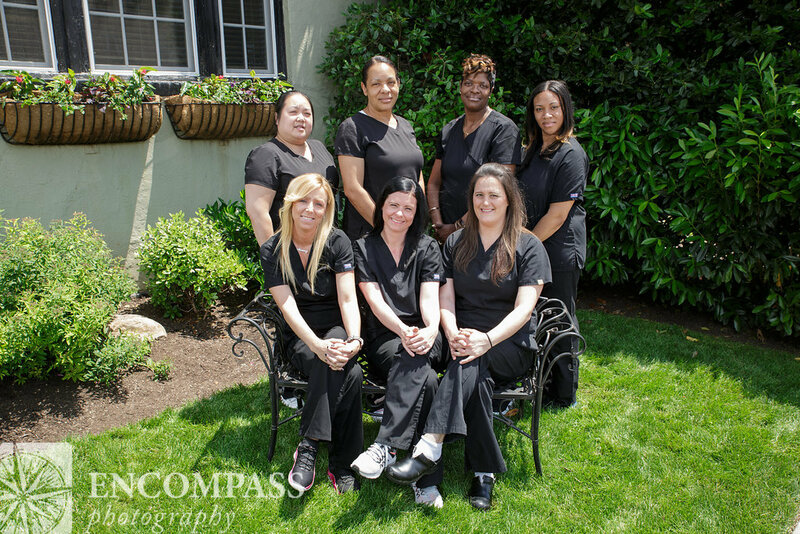 Our team of dental assistants are all board certified in Expanded Function Dental Assisting (EFDA). Most of our EFDAs have been with our team for over ten years. They are highly skilled and have worked at offices in practically every specialty of dentistry. We are committed to continuing education for both our doctors and staff to keep up with the ever-changing advancements in both dental medicine and dental technology. In our office you will be treated with respect from the minute you enter the practice. Our friendly and helpful staff is available at all times to address any questions or concerns. We believe this is an essential part in delivering the best in patient education, diagnosis, and informed decision making regarding various treatment options. These goals will be met through an ongoing and open dialogue between our patients and our team. At our practice we encourage you to ask questions regarding your health and treatment. It is important that all patients understand the diagnosis, it’s challenges to both the patient and doctor, the ideal treatment, and all alternatives. Educated, informed, and involved patients are the most likely to prevent oral pathology, and achieve the highest level of oral and systemic health through informed decision making regarding treatment. W. Michael Tuman, D.M.D., F.A.G.D. Dr. W. Michael Tuman is originally from Amsterdam, NY. He moved to Philadelphia, after deciding to attend the University of Pennsylvania to play football, over entering the farm system for the Cincinnati Reds. He earned a Bachelors of Science in Biology and would go on to attend the University of Pennsylvania School of Dental Medicine. Since graduating, he has practiced in the same building in West Mt. Airy for 40 years, where he has been recognized as Top Dentist by the Delaware Valley Consumers Guide. Dr. Tuman is a Fellow of the Academy of General Dentistry, and an active member of many of the Philadelphia area’s top study groups including the International Team for Implantology, The Northeast Dental Implant and Periodontal Prosthesis Club, and he has completed tens of thousands of hours of continuing education. His philosophical approach emphasizes quality comprehensive dentistry. His focus is on stabilizing the patient via endodontic, periodontal, and restorative procedures, and then suggesting cosmetic solutions when desired and indicated. He is an expert in many restorative procedures. Implant restorations, veneers, crown & bridge, composite bonding, porcelain restorations, lumineers, viveneers, esthetic full & partial dentures, and whiting are some of the enhancements practiced daily, as well as orthodontics, endodontics (root canals), osseous and oral surgical procedures. Dr. Mike Tuman lives in Erdenheim, PA with his wife, Karen, to whom he as been married for 40 years and their Jack Russell Terrier, Riley. He has two sons, Ryan and Christopher (“C.J.”). Ryan joined the practice in July 2013 after graduating from Temple University’s Kornberg School of Dentistry. Dr. Ryan M. Tuman was born here, in Philadelphia. He attended La Salle College High School where he was the captain of the swim team, and earned a scholarship to Loyola College in Maryland. After spending three years in Baltimore he decided it was time to head back to Philadelphia, and graduated from Temple University with honors in 2002, receiving a Bachelor of Arts in Philosophy and a minor in History. An experienced surfer he took to the road after undergrad traveling through out Central America, and then drove cross-country winding up in Ocean Beach, San Diego, after spending the winter in Breckenridge, Colorado. Upon returning to Philadelphia, with the aspirations of becoming a high school English and History teacher, he was a long-term substitute in the Philadelphia Public School System. Dr. Ryan Tuman graduated from Temple University’s Dental School in 2013. Since graduation he has become come an active member in many of the area’s most prestigious study clubs including the Northeast Philadelphia Dental Implant Study Club, the International Team for Implantology, and the Spear Education Study Club. He is studying to become a Fellow of the Academy of General Dentistry. 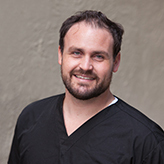 Currently, Dr. Ryan Tuman is studying implant placement under Dr. Peter Hunt in Center City. He is a member of the Academy of General Dentistry, the American Dental Association, and the Pennsylvania Dental Association. His primary interests lie in esthetic dentistry, endodontics, oral surgery, and oral pathology. Like his father, his philosophical approach emphasizes quality comprehensive dentistry. He focuses on stabilizing the patient via endodontic, periodontal and restorative procedures, only suggesting cosmetic solutions when desired or indicated. Ryan has lived in the Graduate Hospital section of Philadelphia since 2005, and loves frequenting the many BYO’s Philadelphia has to offer. When not practicing, Ryan loves to spend time with his wife Lizanne and son Wyatt, surf, travel and collect wine. He loves the Phillies, Eagles, Flyers and Thoroughbred Horse Racing. Jennifer is a lifelong resident of West Mt. Airy. 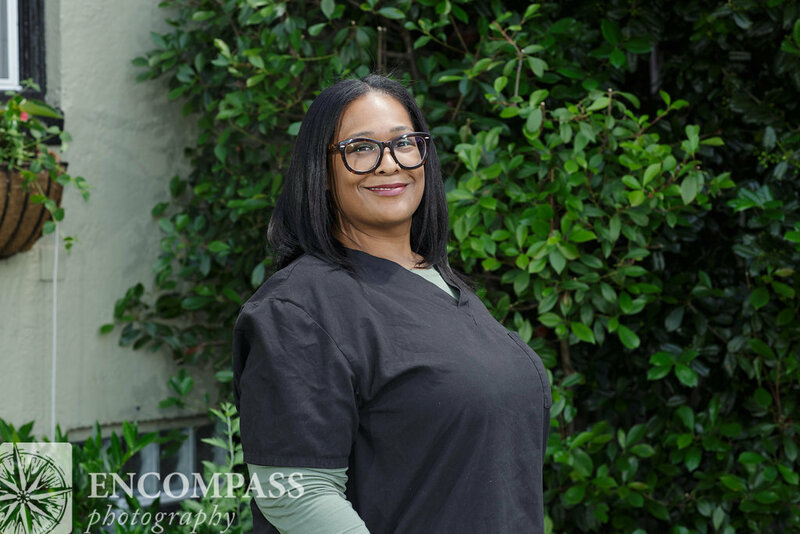 She joined the practice in 2014, bringing over 20 years of dental knowledge. She's always thinking of ways to improve our patients' dental experience, which included creating our discount plan, TDP. She wanted to make sure that our patients without insurance would still be able to receive affordable, quality dental care. Dominique (right) and Yamaris (not pictured) are the first faces that will greet you when you step into our office. 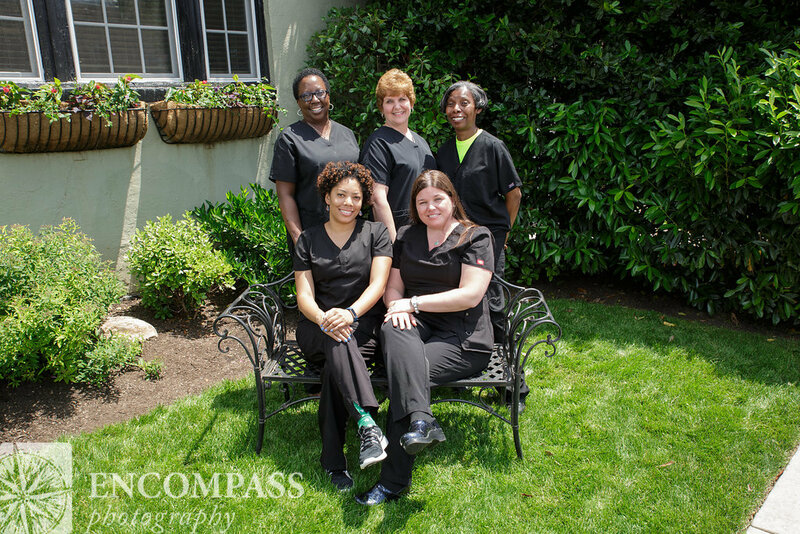 Bringing several years of experience, they strive to make sure patients are happy to see us! Megan, Beth and Devon have been with the practice for over a decade! Lee has been with us for over 5 years. Dorothi is entering her third year. Caitlin and Ana (not pictured) are our newest additions. They work very closely with Drs.Tuman and are well known and loved by our patients. They are all adept at making sure the patient is comfortable and leave here happy. 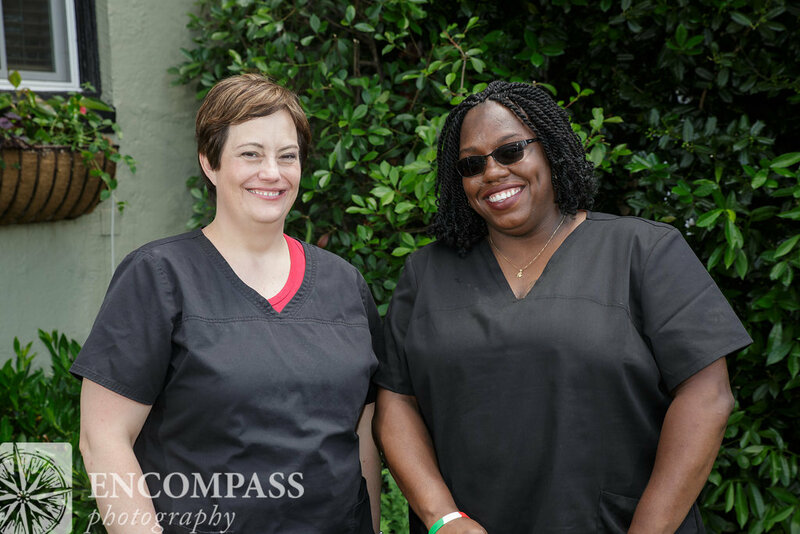 Lori, Lisa, Deborah, Kelly and Maryam (not pictured) are our amazing dental hygienists. They each have their own chairside manner but the thing that remains the same is that they love educating patients about their oral health and how it relates to their overall health. 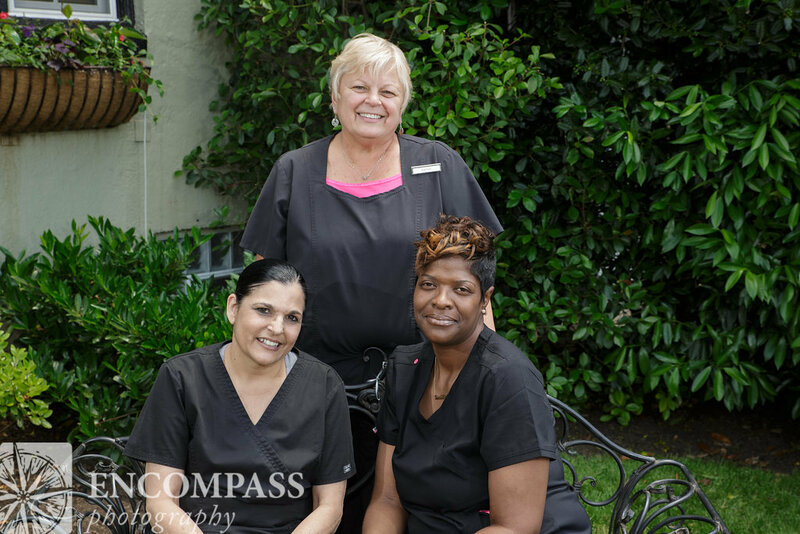 Kathy, Catherine and Dorothi have over 40 years of combined dental experience. They work tirelessly with the insurance companies to ensure that you are receiving the most out of your dental benefits.